Big data and cloud skills – the key to a prosperous career in the energy industry? For the next generation of engineers in energy and chemicals, opportunities are bountiful and exciting! The job description of an engineer in the oil and gas industry has been rewritten in recent years, and much of this shift is due to technology. The industry, and society in general, is becoming more and more focused on short-term results. 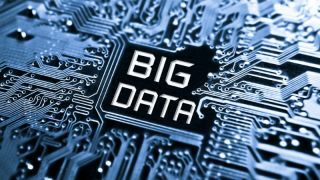 The big data revolution, with huge data sets being transmitted in real-time, has called for rapid processing and decision-making. On top of this, engineers are under more pressure than ever to deliver immediate results in the form of safe, reliable and profitable operations has intensified. Change always carries threats and opportunities with it. On one hand, this presents a challenge to long-held, conservative ways of working, and will require major adjustment to attitudes in the industry. However, the market is calling out for ambitious, tech-minded graduates willing and able to combine emergent, game-changing technologies with traditional engineering skills. Any job market depends heavily on supply and demand. The energy and chemical industry is no different. The demographics of the industry are changing, with many of the top-class, experienced engineers fast approaching retirement age. At the same time, there are fewer and fewer petroleum and chemical engineering graduates, for several reasons. First of all, follow-on careers in petroleum and chemical engineering industry aren’t seen as “hip, cool and contemporary”. Also, the rigour of petroleum and chemical engineering academic curriculums in universities is particularly high (by necessity! ), thereby compounding the situation for entry of new talent. Even when young people opt to study petroleum or chemical engineering, after graduation petroleum and chemical engineering graduates are often lured into high paid investment banking, law or consulting positions where their analytical and problem-solving skill sets particularly valuable and transferable. Similarly, more readily accessible opportunities for digital innovation and disruption involving big data and analytics in “simpler” consumer industries are pulling graduates away from traditional manufacturing industries like energy and chemicals. In addition, the feel-good factor pull of renewable energy and the peak oil concepts regularly talked about in the media can put off some young graduates that would otherwise be keen to either enter or remain in the hydrocarbon processing industry. So why should engineering entrants consider careers in traditional manufacturing industries like Oil and gas and chemicals? Is there a future and what new skill sets should they focus on acquiring and developing to fulfil their career ambitions? The answer is simple. Over the next 5-10 years the energy and chemical industry will face a major skills shortage. Who knows what will happen 10+ years from now with the pace of change occurring? Regardless, there will be heavy reliance on junior and mid-career level engineers to step up and deliver safe, reliable and profitable operations in a professional environment which is increasingly reliant on technology in the pursuit of business automation. There is going to be real demand for petroleum and chemical engineering graduates that simply isn’t being filled today. But the opportunity will be biggest for those people with the right skill sets. In a recent survey by KBC across refining and petrochemicals, operations leaders across industry were asked to rate the importance of the following skills over the next five years for achieving operational excellence. Analytics and data science was ranked the joint second most important skill, behind traditional engineering. The required skill set for engineers is changing tremendously within the energy and chemical industry. There is more of a need than ever to couple knowledge of petroleum and chemical engineering fundamentals and first principles with big data analytics and the ability to leverage artificial intelligence to deliver new insights in a more cost-effective manner. New engineers have the chance to harness these technologies and be part of the development and future-proofing of the industry. Asset owners and operators are now able to capture and analyse enormous amounts of data that encompass a whole range of operations – from work force surveillance, training and development, to unit monitoring and real-time optimisation. Of course, the presence of large data sets in this industry is nothing new. Data historians and laboratory information management systems (LIMS) have existed for decades, and already gather and report operating information to plant operators and engineers. By joining up all the pieces of asset operations – data gathering, aggregating and optimising – and adding in emergent machine analytics, plant operations will become more automated, more reliable and more profitable. The role of the plant operator will not disappear, but their position will be upskilled so that they are focused more on surveillance and other higher value tasks while the technology looks after more basic plant monitoring and optimisation. Cloud computing is now ubiquitous across most industries, but its application in the oil and gas industry are perhaps not so widely known. However the cloud will be absolutely pivotal in translating these vast data sets into subscription-based outcome-as-a-service solutions that solve business and operational problems. Across the energy and chemical industry, more sensors monitoring temperature, pressure, vibration and flow means a closer handle on optimising operating conditions. Integration with online analytics monitoring density, chemical composition and other physical properties will spot problems in real time, improving productivity and safety. However, the industry must still ally these technologies with human beings that can analyse data and put it into context, so this skills gap is an acute problem. Asset operations are increasingly embracing automation, but we still require a safe pair of hands to guide the ship in case anything goes wrong. After all, even the simplest mistake can have catastrophic consequences in our industry. But for the next generation of engineers in energy and chemicals, opportunities are bountiful and exciting!